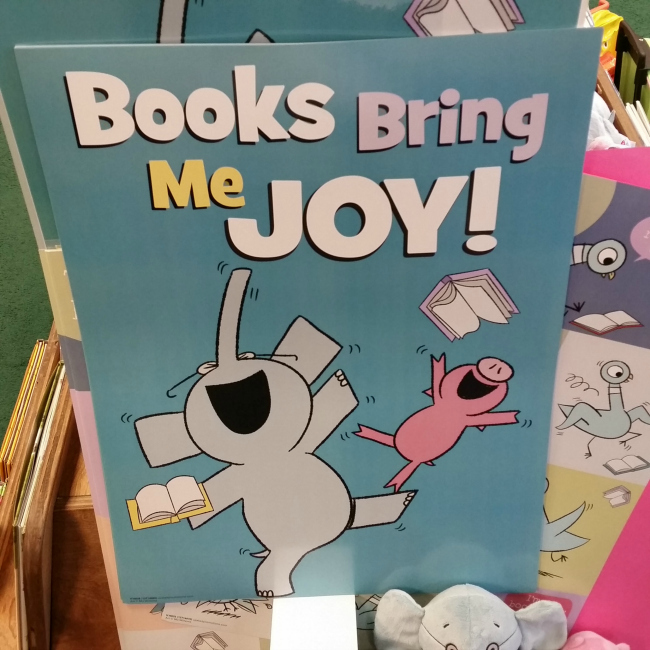 If you're like us and books bring you JOY, sign up here for our recommendations and reviews! You'll receive new book reviews and updates on store happenings a few times a month. A little history about our newsletter—do you know why it's called Beyond the Pretzel Bowl? Well, we've served pretzels in a big communal bowl since the day Sue started the store 45 years ago. Reading takes brain power! Pretzels are fuel. We've pacified small babies, hungry teachers, and wandering stomachs with a snack. It's simple and it works (and we also offer a glass of water). So when you stop by, dig in into the bowl and a good book! Small Business Saturday + New for the Holidays! Book Club Recommendations! Books we think all Denverites should be reading! Detecting the Latest in Mystery + Pick of the Picture Books! New Instalments in Popular Series! All About Books and Dogs! Beach Reads, Summer Games + Summer Reading for Grown-ups! Motivating Kids to Read + Summer Reading for Elementary and Middle Schoolers! Father's Day + YA Summer Reading! Get Ready for Summer Reading + Love Your Teacher! Our Bookies Bestsellers of 2016 for Kids! Our Bookies Bestsellers of 2016 for Adults and Young Adults! Small Business Saturday - Author Showcase! Bookstore Besties - Bring a Friend! Three of the Best New Books for Everybody! Hot Reads: What We're Reading This Summer! Playing Away the Days: New Games for Summer! It's All About Colorado! Hickenlooper's new book and gardening in the Rocky Mountains. Eggs and Bunnies and Books and More - Happy Easter! Summer Reading Event for Teachers and Parents, Books We Recommend for Summer Reading! It's a Love Story—Books We're Lovin! Small Business Saturday Author Extravaganza—Local Authors Storm the Store! Starting a Summer of Reading! We're a Top 10 Denver Bookstore! Spring is coming! + Your Chance to Hold an Award in Your Hand! Be My Valentine... + Bookies 2014 Top 10 Bestsellers + The January Genre Challenge!